A question I get asked a lot is: Should we change the electoral college voting system in favor of popular vote? While I’m no authority on the topic, I like you have an opinion. The question usually comes up after an important election where someone is unhappy with the results. There was considerable discussion if not outrage when Donald Trump beat Hillary Clinton thwarting a woman’s chance for becoming the first female in history to become Commander in Chief. While I want to see a woman become president and thought Hillary had a lock on the 2016 presidential election, I wasn’t convinced that she had the type of moral character that I was willing to hang my female hat on. Now, in the Oregon legislature, where democrats enjoy a super majority with a democrat governor, the question is asked once again as extreme liberal laws are being passed. 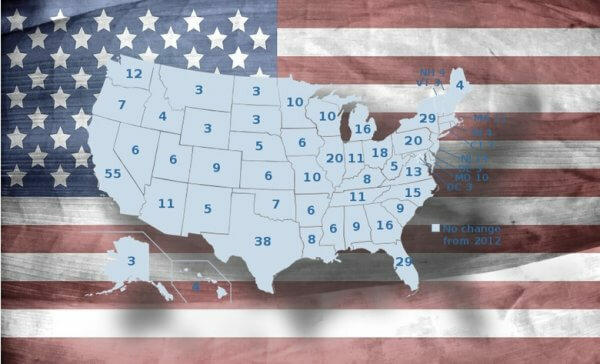 The Electoral College voting system was established in the US Constitution for fair presidential elections, not as arbitrator for local or state elections. The Electoral College was established to give a voice to the voiceless and to balance rural America with huge city populations by giving equity to America’s voting system on a state by state basis. If people truly wish to change the Electoral College system, it must not arise from a feeling of outrage stemming from a knee jerk reaction to a single election. Real change evolves over time and advocacy. But most important – participation. The people who want an immediate change in Electoral College usually have not participated in what I call “advocacy politics.” Nor have they volunteered and rarely if ever have they written their state legislator or congress person. Do you vote in every election? In Oregon, vote by mail is so simple and takes so little effort I worry we have spoon fed our electorate to the point of making it too easy they take for granted what other countries of the world engage in civil war over. The best way to change a political system is to volunteer 4-6 hours a month by serving on your local school board, fire board, utility commission, library board, water board, city council or planning commission, just to name a few. In Clackamas County alone, we have 70 boards and commissions waiting for positions to be filled. These positions require no qualifications except 18 years of age and being a registered voter. These lower level positions offer an opportunity for knowledge and discovery and like me, you can make an honest mistake while learning the process. Been there done that as there is no perfection in learning. If you want a real change in how government operates and the actions taken by our elected officials, become involved. I dread most of our electorate has become so complacent and so comfortable in their present economic situation or worse yet have become so convinced they can’t make a difference, that somehow relying on changing the Electoral College vote is the magic bullet that will save us from ourselves. It’s a law of nature that tells us we cannot expect someone to do for us what we can do for ourselves. Raised on a family farm with a strong work ethic, my mom told us kids, “if you don’t like what’s happening, get off your behind and change it yourself.” I fear we have lost that type of grit and are relying on someone else to solve our problems by thinking a change in our time-honored system will fix what we are too lethargic to fix ourselves. If you don’t like who is elected or the laws being passed – do something about it. If you don’t know what to do, ask people whom you know. It’s easier than ever to find people you agree with on social media and the internet. The most important lesson that I have learned in the last three decades of participation, that it’s not about empowering a system that will surely fail us, it’s about empowering ourselves. Rep. Dennis Richardson: National Popular Vote Or Electoral College?